The new talk show battle is on! ABC and NBC owned stations will battle it out next fall. Walt Disney Direct-to-Consumer and International, a segment of The Walt Disney Company, continues to secure outstanding station clearances for its new syndicated daytime talk show hosted by Tamron Hall with over 70% of the U.S. sold. In addition to the previously announced ABC Owned Television Stations Group and Hearst Television stations, the show has been licensed to top stations from leading broadcast groups for fall 2019, including Cox Media Group, Sinclair Broadcast Group, The E.W. Scripps Company, Meredith Corporation, Tribune Broadcasting, Gray Television and Nexstar Media Group, among others. Visionary producer Bill Geddie (The View) has been named executive producer of the new syndicated daytime talk show hosted by Tamron Hall. 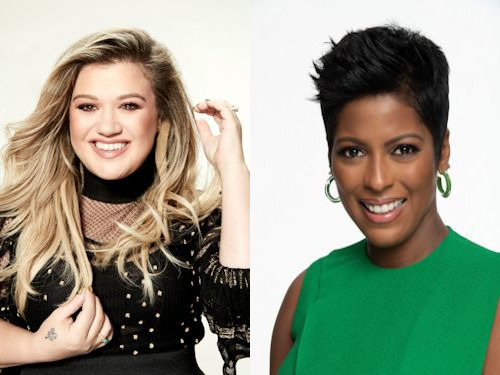 The new nationally syndicated daytime program The Kelly Clarkson Show has been sold in more than 80% of the U.S. for its fall 2019 debut. As previously announced, this new daily, one-hour talk show starring Kelly Clarkson, a multi-talented, Grammy Award-winning artist, will air as the lead-in to Ellen on the NBC-owned television stations (replacing Steve on their stations). The Kelly Clarkson Show will also air on leading station groups across the country, including Scripps, Hearst, Meredith, Sinclair, Gray, Hubbard, Cox, Tegna, Nexstar, Capital, Dispatch, Graham Media, Block, Watermen, Weigel, Quincy, Bahakel and Bonneville. Newly added major market stations include KOMO Seattle, WXYZ Detroit, KTVK Phoenix, WKYC Cleveland, WBAL Baltimore, WTVF Nashville, WDRB Louisville, WJXT Jacksonville and many more. Clarkson is bringing her enthusiastic, funny and unfiltered voice to daytime TV. In her new talk show, Clarkson uses her gift of connection to unite people, from all walks of life, into a funny and very real "weekday hang." Coupled with heart-warming stories, live musical performances, games and big surprises, The Kelly Clarkson Show seeks to uplift the daytime viewer and make the world a little bit smaller by reminding everyone of all the good things we have in common. 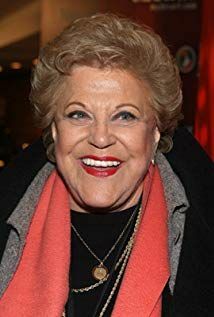 Actress, comedian and singer Kaye Ballard, who starred as Kaye Buell in The Mothers-in-Law, has died. She died at her home in Rancho Mirage, California on January 21. Ms. Ballard was 93. 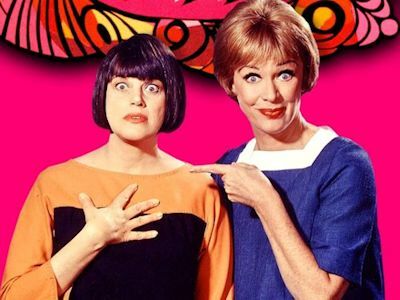 Ballard starred as Kaye Buell in the 1967-1969 NBC sitcom The Mothers-in-Law. Kaye Buell was married to Roger Buell, who was played by Roger Carmel in the first season and Richard Deacon in the second season. She was the friend and next door neighbor of Eve Hubbard (Eve Arden), who was married to Herb (Herbert Rudley). Their children Jerry Buell (Jerry Fogel) and Susie Hubbard (Deborah Walley) married and made them in-laws. 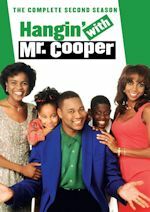 The series was created by Bob Carroll, Jr., and Madelyn Davis. Desi Arnaz was the executive producer. She had a recurring role as Angie Pallucci in ten episodes of the CBS sitcom The Doris Day Show from 1970 to 1972. 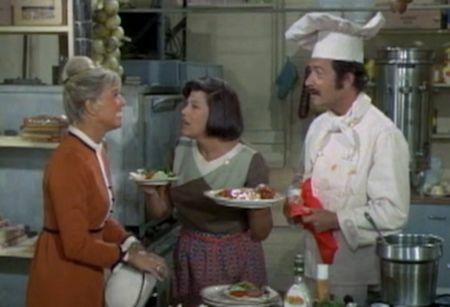 Angie and her husband, Louie (Bernie Kopell), owned and operated an Italian restaurant below an apartment in San Francisco that Doris Martin (Doris Day) lived in. 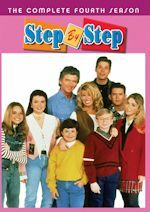 Ballard starred as Mrs. Treva Travalony in the 1990-1991 syndicated sitcom What a Dummy. Mrs. Travalony was the pushy next door neighbor of the Brannigan family in Secaucus, New Jersey. The series starred Stephen Dorff, Joshua Rudoy, David Doty, Annabel Armour and Janna Michaels. 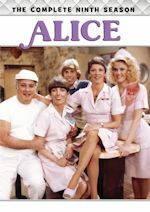 Some of her sitcom guest appearances included The Patty Duke Show, Here's Lucy, Love, American Style, The Montefuscos, Alice, The Love Boat, The Musters Today and Daddy Dearest. She made three guest appearances in the Canadian crime drama/comedy Due South from 1994 to 1995. Some of her other drama guest appearances included Police Story, Fantasy Island, Here's Boomer, Trapper John, M.D., The Law and Harry McGraw and Monsters. Some of her film credits included The Girl Most Likely, A House Is Not a Home, Which Way to the Front?, The Ritz, Falling in Love Again, Tiger Warsaw, Modern Love and Eternity. Ballard was also known for her stage work. She starred on Broadway as Helen in The Golden Apple in 1954. Some of her other stage credits included Reuben, Reuben, The Pirates of Penzance, Molly, Wonderful Town and Carnival. 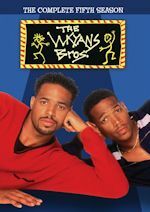 Ms. Ballard was a talented and funny actress. We thank her for the laughs and entertainment she brought us during her career. She will be greatly missed. Share your memories on our The Mothers-in-Law message board. View photos in our galleries.